Life Gets Better and Better | Play every day! Understanding the thoughts and beliefs surrounding your financial situation gives you power to change it. This game is a variation of Abraham-Hicks Prosperity Game. In this virtual game, you will be given a virtual check everyday, for 30 days, and you must spend it that day. As you spend, you get into the good feeling place as if you have made your purchase(s), donated money or given it away. There is no saving and there is no loaning. What does this have to do with money? I can tell you it has everything to do with money. The money we receive is in direct result of how our energy is directed. This is about beefing up our “feel good” energy to shift our way of thinking and feeling to get a different result. Play the game, lighten up, see what happens. When? Now, Always NOW… It is where your power ALWAYS IS…NOW and NOW, even NOW. Where? In your email, I will send you a virtual check everyday for 30 days. You have to spend the money, everyday. Who? YOU…. 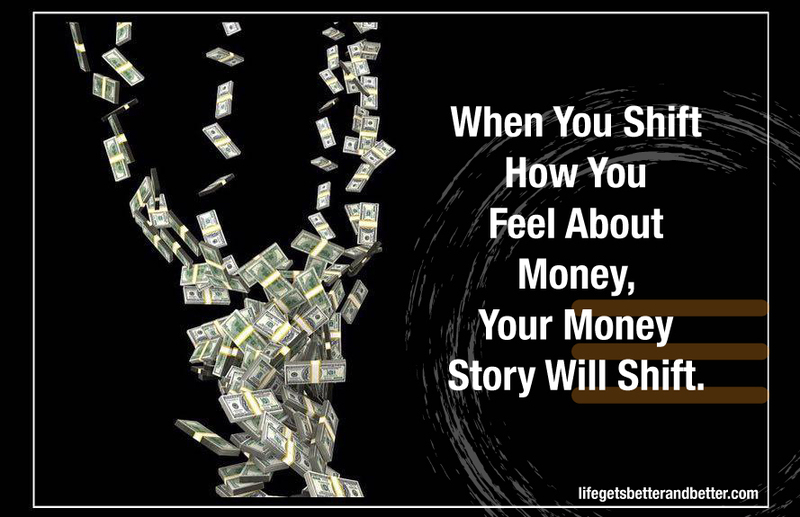 This is a fun and creative way to shift how you feel about money (Abundance). Money is neither good nor bad in itself—it is a neutral instrument for measuring exchange based on a community agreement. It has the value we give to it through our beliefs power through our emotions.